For high tech comfort, New C4 Cactus features suspension with Progressive Hydraulic Cushions™. They filter and absorb major and minor road imperfections to give occupants a flying carpet feel while ensuring outstanding poise and vitality. New C4 Cactus comes back to the origins of the hatchback with spaciousness and real versatility in the city, in the suburbs and in the country thanks to its compact exterior dimensions (length 4.17 m, width 1.71 m). All passengers of New Citroën C4 Cactus will enjoy a feeling of well-being and roominess thanks to the thermally insulated panoramic sunroof. Citroën has unveiled New C4 Cactus, this new hatch has been substantially upgraded. C4 Cactus adopts the classic cues of the segment in terms of technology and engines while continuing to stand apart with its unique personality and levels of comfort. Featuring a suspension with Progressive Hydraulic Cushions™ and Advanced Comfort Seats, New C4 Cactus is THE ultra-comfortable hatch, set to shake up the market in 2018! When you buy a new Citroën C3 Aircross Compact SUV you can relax with the knowledge that it comes with a comprehensive 5 year* – Unlimited Mileage Warranty covering any manufacturing defects that may arise, helping you enjoy care-free motoring in your new Citroën. You also have the reassurance that any repairs completed under warranty will be undertaken within our network of Authorised Repairers in the Republic of Ireland, using only genuine Citroën parts. You are guaranteed a quality repair and the preservation of your vehicle’s performance. 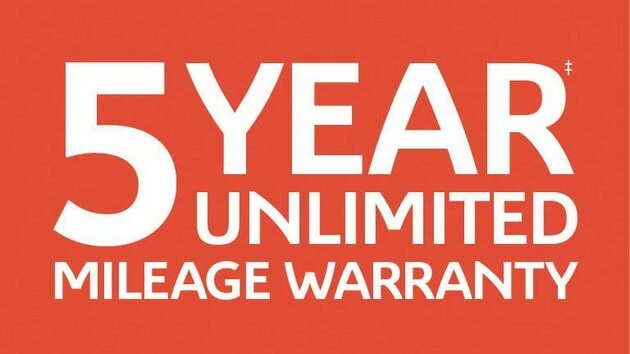 *5 year Unlimited Mileage warranty is made up of 3 years’ manufacturer’s warranty and 2 years’ extended warranty (exclusive to Republic of Ireland only). New C4 Cactus brings a breath of fresh air and originality to the hatch segment. Boasting elegant, dynamic and individual styling, C4 Cactus features classic Citroën graphics that underscore the body flow, including Airbump® on the lower part of the doors, a continuous glass waistline and floating roof, two-tiered front headlights and a broad 3D LED light signature at the rear. New C4 Cactus offers 31 customisation possibilities outside, with nine body colours and four colour packs comprising refined touches of colour. New Citroën C4 Cactus marks a major step forward in the Citroën Advanced Comfort® programme as the first model in Europe to feature suspension with Progressive Hydraulic Cushions™ (PHC) and the first in the world to be equipped with Advanced Comfort Seats. 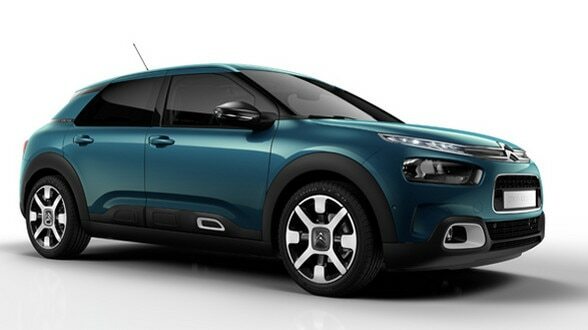 The new model provides unrivalled ride comfort in typical Citroën fashion. With its 12 driving aids and 3 connectivity systems, it allows its passengers to travel stress-free and easily. - Its compact build and its big wheelbase ensure dynamism and agility in urban and extra urban areas along with generous habitability for all passengers. It features a new, broader front end including new LED daytime running lights extending out from the chevrons and stretching across the entire width of the car, sharper headlights underscored by gloss black inserts, and a body-coloured bumper with side scoops for extra vitality. At the rear, C4 Cactus character is underlined by a smooth and pure body-coloured tailgate highlighted by new 3D LED lights whose slim and chiselled form widens the vehicle while lending it a more contemporary air. - 4 trendy colour packs: Gloss Black, Silver Chrome, Gloss White and Deep Red. These colour touches are skillfully implemented, playing in contrast with the body colour, highlighting the Airbump® on the lower part of the doors and the foglight surround. The alloys are also available in different colours which allows you to push the boundaries of personalisation. The materials used for the interior are easy on the eye and soft to the touch, especially with the dashboard covering made with soft textured material coordinated with the seats. New C4 Cactus offers 4 choices of elegant and warm ambiances to personalise your interior. Hype Red ambiance* is the ultimate expression of interior style and substance, with seats finished in Beige Nappa leather and Beige cloth, plus a dark red strip of Alcantara across the upper seat backs. The dashboard top is also dark red, while armrests, door and Top Box straps are in contrasting Beige. Hype Grey ambiance* evokes an elegant premium feel with half black grain leather seats and grey dashboard top. Wild Grey ambiance* (standard ambiance) is full of vitality yet refined too, with seats in Silica Grey cloth, offset with a light grey strip on the seat backs. The light grey strip also features on the dashboard top,armrests, door and Top Box straps. Metropolitan Red ambiance* emphasises the feel of airy space, through design clarity and smooth, tactile materials. Seats are finished in Silica Beige cloth with a striking dark red strip on the seat backs, and the same red accents are found on the dashboard top. New C4 Cactus features Suspension with Progressive Hydraulic Cushions™, which is exclusive in Europe, making the flying carpet effect affordable to all. In a World Exclusive, the Advanced Comfort Seats, guarantee unprecedented levels of seating and driving comfort... WIth a unique personality, New C4 Cactus is "THE" Ultra-Comfort hatch set to shake up the C Hatch market. Thanks to its panoramic sunroof, New Citroën C4 Cactus has permanent light in its interior, giving all passengers a feeling of well-being and space. Built in thermally insulated glass (HPT), it allows light to come through without any risk of glare, it blocks heat and protects from UV rays. This technology enables you to dispense with a sunblind and grants the same thermal and acoustic performances as a normal roof. Soundproofing is a vital part of driving comfort. New C4 Cactus benefits from a global soundproofing work: thicker windows, improved window and door sealing, acoustic windscreen, more sound deadening around the dashboard and the floor. New C4 Cactus offers optimal insulation from road noise for its passengers. - A storage space for your phone next to the USB port. - The very usable boot has a cubic shape enabling the loading of most objects combined with a 1/3 - 2/3 foldable rear seat, to offer a 358 L capacity increasing up to 1170 L when the rear seats are folded. - On the dashboard, a large closed glove box Top Box in front of the passenger and within the driver's reach, along with a large non-slip storage tray in the lower part of the console next to the passenger. New Citroën C4 Cactus is equipped with 12 driver assistance systems, providing extra reassurance and safety in day-to-day driving, fighting against drowsiness or simple moments of inattention and preventing the risk of accidents. Passengers enjoy three connectivity systems for continuity between their digital worlds and their car. Stay connected, dialogue, navigate and simply relax thanks to Citroën Connect Nav technology, the Mirror Screen function with Android Auto, Apple Car Play™, MirrorLink® and Citroën Connect Box. The objective of this function is to avoid a frontal collision or lower the impact speed in the event of no intervention by the driver, active from 5 mph. The system evaluates the driver’s attention by identifying lane deviations based on the road lines and alerts them when traveling over 40 mph. With the Mirror Screen function through USB on New Citroën C4 Cactus, the 7 inch touchscreen allows you to duplicate or transfer your compatible smartphone's display. You can find your multimedia content and navigate easily to your smartphone and its compatible applications from the 7 inch touchscreen. Based on the connected smartphone, applications can also be controlled by voice thanks to the voice recogntion function. Mirror Screen works with Apple CarPlay™, Androit Auto and MirrorLink®. 3D connected navigation system coupled with a 7 inch tounchscreen with tactile screen also benefits from voice recognition and command functions for Navigation, Phone and Media, without taking your eyes off the road. Offering connected services like Tom Tom Traffic, it allows to have real time traffic information, geolocalisation, fuel prices, parking availability, local POI search as well as the option for speed camera alerts. Geolocalised emergency and assistance calls. In the event of an accident or any other situation needing an urgent intervention, it allows the appropriate emergency services to be sent to your precise location, either automatically or by pressing on the "SOS" button. Available 24/7, this free service doesn't require any subscription. In order to give our customers more peace of mind, they can contact the emergency call centre by pressing and holding the "chevrons" button. Acceleration, pick-up and driving pleasure are enhanced through the combination of a lightweight and efficient platform and latest-generation engines. The latest-Generation PureTech petrol engines, voted Engine of the Year, and the BlueHDi diesel engines comply with the Euro 6 standard on the reduction of NOx emissions and fuel consumption. With its swift-shifting action, the EAT6 gearbox fitted on the PureTech 110 S&S engine affords seamless performance and top-flight pleasure in use. The New Citroën C4 Cactus is also available in a PureTech 130 S&S 6-speed manual version.